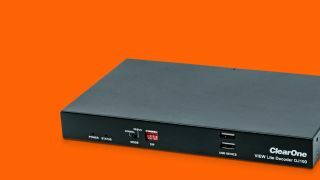 ClearOne has announced the availability of VIEW Lite control modules for Crestron and AMX control systems. When it comes to deploying AV at scale on a network, applying IT acumen in the planning stage will go a long way toward building efficiencies. Moving AV to the network requires careful planning—and bandwidth is just one of the many considerations you must make.